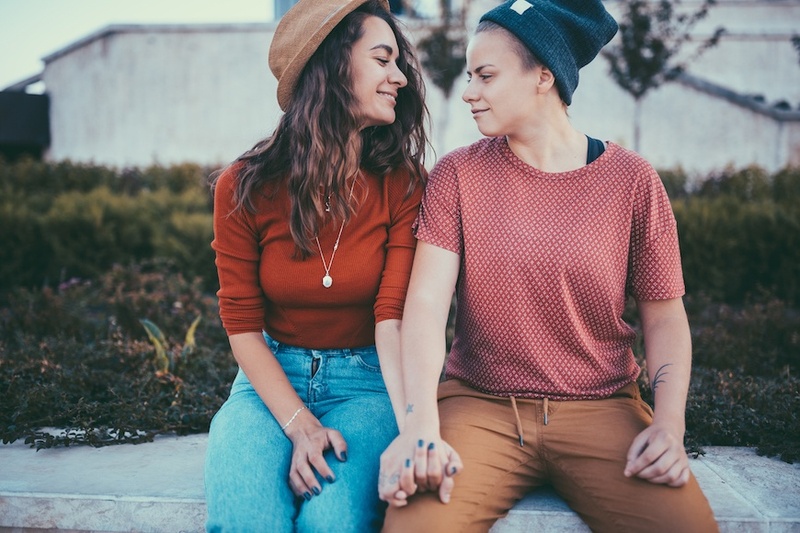 A recent study, using nationally representative data, of how people in the United States meet romantic partners found that 65 percent of LGBTQ+ couples meet online (whereas, for perspective, the same is true for only 39 percent of heterosexual couples). And the stat, says one prominent inclusive matchmaker, really isn’t staggering. “One of the biggest challenges when you’re queer is figuring out if the people who might be interested in are also queer,” says Kara Laricks of Three Day Rule. “Dating apps remove the hurdle of having to guess.” That’s largely why I joined the pool of queers looking for love after my last breakup and promptly began swiping. I went through the motions of engaging in half-baked conversations, then after I got my hit of attention, I’d slither away like a ghost before there was any any mention of potentially meeting up IRL. Call it karma, but once I was ready to actually meet cute potential partners, the sheer monotony of swiping felt stifling, and also about as romantic as a case of norovirus. As Laricks says, “Online dating dating may take away the guessing aspect for the LGBTQ+ community, but that doesn’t mean we’re immune to online dating fatigue (ODF).” Tinder burnout aside, Laricks says it’s totally possible to find love as an LGBTQ+ person without the help of an app—it just takes a little savvy and intel. Scroll down for 6 matchmaker-approved tips to meet LGBTQ+ singles without dating apps. Tumblr, Meetup and your local LGBT center are all great resources for finding queer events. And getting specific with Google to discover events and spaces you might not have otherwise found also helps. For instance, try searching “queer yoga [insert name of closest city here].” Or replace “queer yoga” with “queer CrossFit,” “queer book club,” or “queer softball.” You might even research whether your city has a queer professional group, or if there are volunteer opportunities with your local LGBTQ organization. Wherever you go and whatever you do in the pursuit of finding a potential mate, prioritize enjoying yourself, and don’t stress too much about finding love.“Go in with curiosity, not expectation,” Laricks says. Plenty of people meet via a setup, but when you’re queer, your queer friends assume you already know all the queer folks they know (See: The L Word’s legacy: The Chart). And setting you up likely hasn’t crossed your straight friends’ minds. And if your pal needs you to promise that you won’t be mad at them if the match turns out to be a softboy or a cookie-jarr-er, give it up. And you really have nothing to lose with this low-stakes move. If the other person is interested, you have a romantic comedy-worthy meet-cute story. And if they’re not, you can just pretend you just got some schmutz in your eye. “Practice giving authentic praise to your neighbor, your barista—anyone. This will give you an opportunity to drop an authentic compliment when you’re not attracted to someone,” Laricks says of working your gassing-up muscle. This will make the verbal flow easier and more authentic when you’re with someone you’re actually attracted to. Pride is only one a month (or, depending where you live, one weekend) a year, so take advantage of it. “It’s the perfect time to relax. 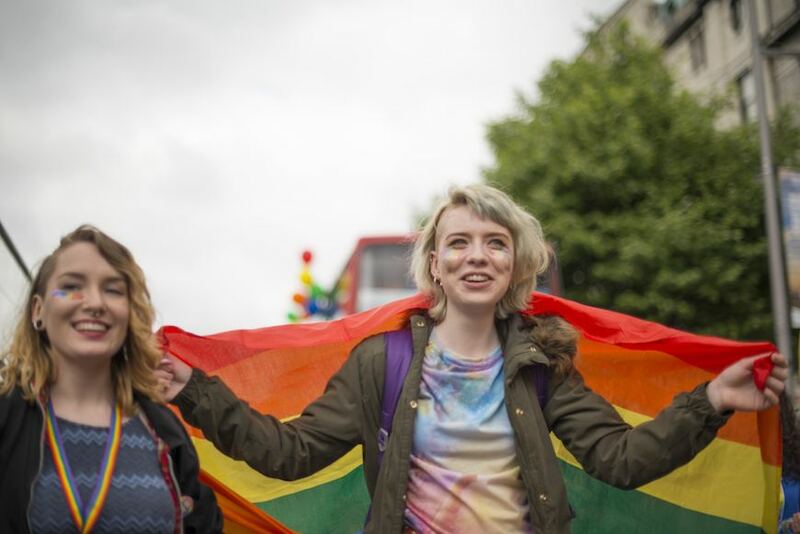 The the vast majority of people at Pride events are cool and LGBTQ+-friendly,” says Laricks. “This isn’t a crowd where you need to be concerned about hitting on the wrong people.” Bring the flirty eyes, people. “Outsourcing your love like is like sending out your laundry,” says Laricks. “You’re letting someone else take care of it for you.” And sure, as an LGBTQ+ matchmaker, Laricks is totally biased, but I’m neither a matchmaker nor biased, and I can’t recommend the experience enough. Sure, I’m still single, but that doesn’t mean I didn’t have a blast being paired up and seeing what’s out there rather than what’s on my phone screen. “At the very least it’s a great way to meet more people in the LGBTQ community,” says Laricks. If you’ve ever wondered whether or not opposites attract, read up here. And here’s exactly how to slide into someone’s DMs.